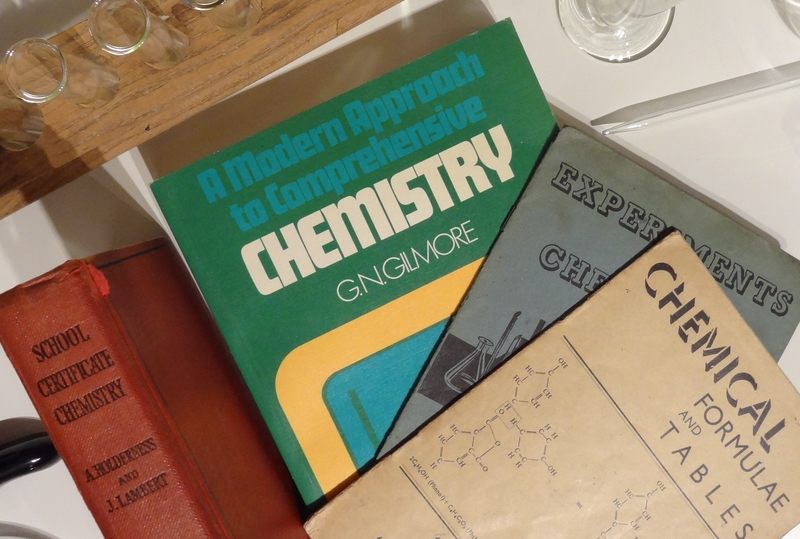 Before becoming involved in electronics and prior to developing a passion for audio (and later video) recording, there was a strong focus on chemistry and all the magic of the experiments which allow one to experience how different substances react – or not. This video shows the home lab which helped in that process and provided an extra level of motivation to become quite good at it. The chemistry is mostly forgotten but the original lab and the equipment that has survived provide an excuse to play around with using a large screen TV as historical back-drop for a still-life display of items from that time. — Large format video here. The out-house building in which the lab was located still stands, and in fact has been integrated into the house as a utility room by recent owners of the house back in England. The summer house has long since been demolished. A first version of this video was made in 2008 using SD with 4:3 aspect ratio. We have re-shot most of the colour images against a larger screen TV than we had in 2008. We have also improved some of the 1960’s images by finding and re-scanning the original negatives (themselves an amazing tribute to such quality and longevity). 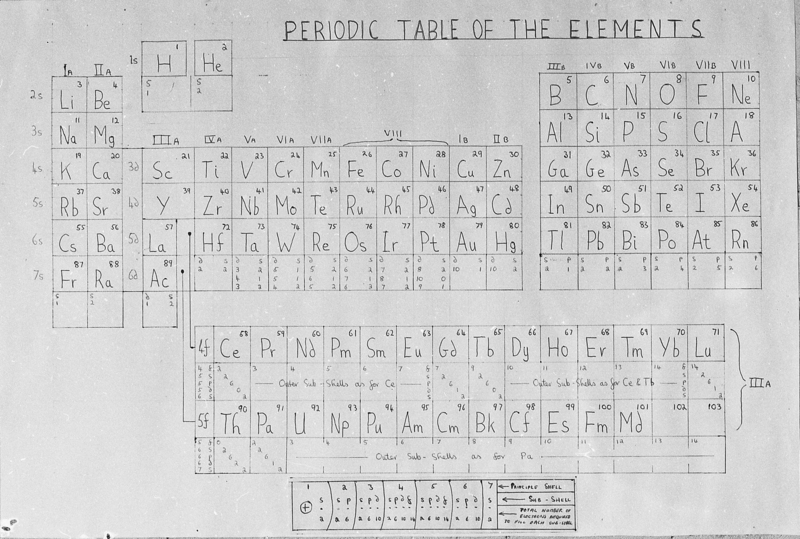 2013 version of the periodic table — compared to home-drawn 1961 version which shows position of elements 102 & 103 which were not “discovered” until 1966 (Nobelium) and 1961 (Lawrencium). These, together with all later element “discoveries” are known as the Transfermium Elements. Click images for larger versions. 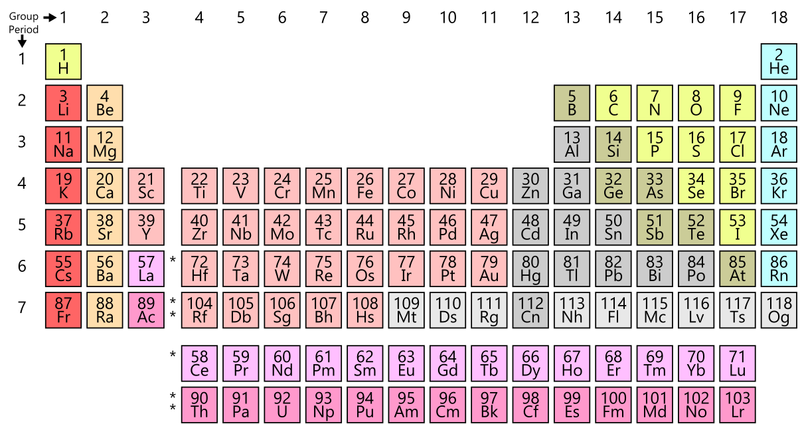 150 years of the periodic table — 2019 is the “International Year of the Periodic Table” [of the elements] IYPT2019. This entry was posted in .pre-2009, 2018, Art-Science-Literature, Digital archiving, Recording gear & technique. Bookmark the permalink.